Cleaned either where they hang at your location or in our shop. We can clean just about any type of custom window treatment. From silks to sheers imported from France, we've handled a wide range of projects over the years for our clients with confidence. 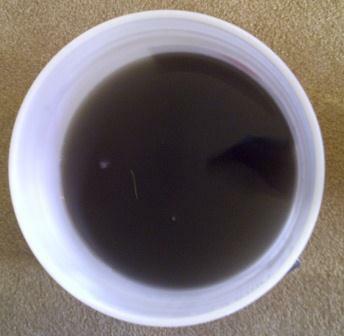 We can guarantee there will be no shrinkage or fabric damage with our injection-extraction (dry solvent) cleaning method. We'll carefully pre-inspect treatments before cleaning, discussing our process and any concerns that you may have before setting up plastic behind the work area. 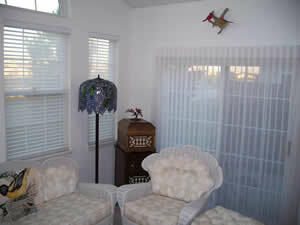 Using a small machine, we can clean valances or draperies right where they hang in the window. In may cases, if you are a local client and we are doing other window treatments we may do the work at our shop (still offering same day service if you prefer) to simplify your day and the need to set-up for cleaning in your home. Cleaning prices vary depending upon the work and fabrics involved and the linear feet or square footage depending upon the style. Flat cornice board valances are as little as $5 per linear foot cleaned. 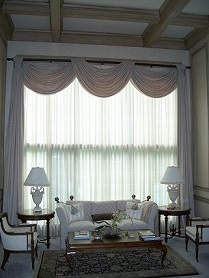 Most typical swag/jabot board mounted valances are in the $6-8 per linear foot range. (Measure the width of EACH swag and jabots not the width of the board). Standard full length lined pleated draperies cost about $6 per pleat to clean depending upon fabric and lining. Whenever feasible, we prefer to quote drapery and valance cleaning jobs in person in order to allow us to inspect things and come fully prepared when its time to perform the work. Having your draperies, valances or sheers deep cleaned every 3-5 years (more often for sheers or if the environment is very dusty or someone smokes) will keep the colors looking nice and prevent the build up soils that over time leave dingy zones or permanent stains. While periodic regular vacuuming is important, the dry cleaning removes organic soils and more inorganic soils than a simple vacuuming. A thorough vacuuming is just the first step of our cleaning process. As you can see, we typically see more soot, dust and other stuff in the bucket afterwards because of the cleaning action of the dry cleaning agents - even if the valances "looked clean". 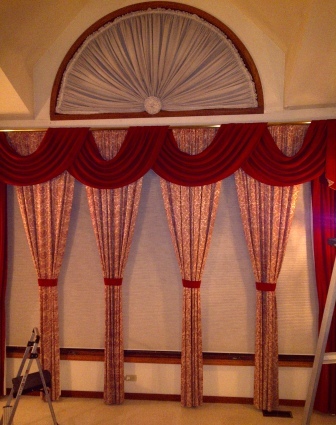 While drapery cleaning is an expense, it ultimately will save you money over time by extending the usable life of your custom window treatments. It also provides you with a brighter, healthier home environment as well. If it is worth keeping, it is worth cleaning! 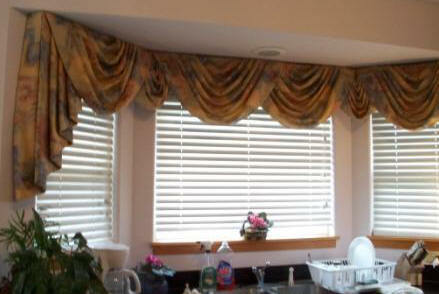 As professional blind and drapery cleaners we provide clients with service as personalized as their window treatments.